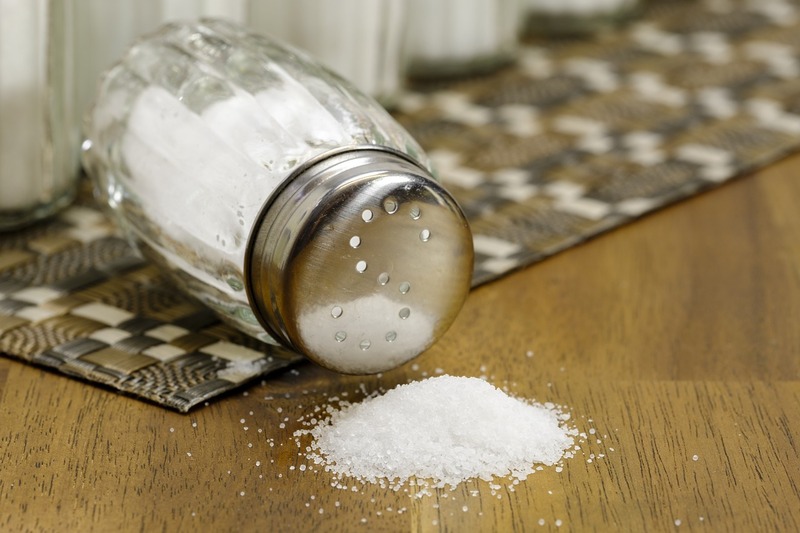 Table salt plays a big role in our everyday lives. It is essential for many different body functions like nerve activity and muscle contraction. However, its best known and most appreciated feature is its use in the kitchen as a time-favored flavor enhancer. During the last half-century, daily salt intake has steadily increased in industrialized countries, and the incidence of autoimmune and allergic diseases has been observed to rise in tandem. What triggers the initial events of allergy is unknown. Th2 cells are part of a large subgroup of immune cells, called the T helper cells, guiding and organizing immune reactions, and are involved in the pathogenesis of allergic diseases. We found that NaCl can induce Th2 cells and even makes other T cell subgroups develop a Th2 identity. Our immune system contains many different types of cells, which make up the first-line and late-stage defenses of our body. Thus, a vigilant immune system is important for recognizing and fighting invading pathogens such as microbes, bacteria, and viruses. However, an uncontrolled immune system can also develop pathological responses by attacking healthy parts of our body or harmless infiltrators such as allergens. Atopic dermatitis, colloquially known as eczema, is one of these diseases caused type 2 T helper cells. Atopic dermatitis underwent a two- to three-fold increase in industrialized countries during the last 50 years, affecting nearly a fifth of children worldwide. It is characterized by chronic relapsing inflammatory skin conditions. T helper cells develop from naïve T cells depending on the cytokine microenvironment surrounding the naïve cell during its activation. They reside in the body’s peripheral tissues outside the blood circulation, where immune reactions and salt fluctuations take place. The skin, which is in constant touch with potential allergens is subject to strong salt fluctuations and is inhabited by 20 billion T cells, twice the amount found in the entire blood circulation. We found that differentiated T helper cells develop a Th2 identity when surrounded by high concentrations of NaCl. This suggests that salt may be a factor in giving differentiated T helper cells the flexibility to adjust their phenotype according to the microenvironmental composition. To our surprise, even naïve T cells, activated in a salt-rich environment, developed Th2 properties, which is especially interesting, as so far, the Th2 typical messenger protein IL-4 was thought to be necessary for naïve T cells to induce Th-2 development. The skin is populated by a combination of two kinds of T cells: recirculating T cells, traveling back and forth between skin tissue and bloodstream, and resident T cells, which stay in the skin tissue over a long period of time. In order to find out whether the Th2-enhancement observed in blood T cells really applies to immune cells housed in the skin, we extracted skin T cells from healthy human samples. Stimulated in a high salt environment, these skin T cells develop a Th2 identity and upregulate skin-homing receptors, encouraging them to stay in the skin tissue. As we were wondering whether salt might also play a role in the Th2-driven skin disease atopic dermatitis, we collected lesional and non-lesional skin samples and quantified the sodium levels by neutron activation analysis. This method, which can only be applied in a nuclear reactor, revealed highly elevated sodium concentrations by a factor of 30 in lesional skin samples compared to non-lesional samples. Sodium accumulation could not be found in lesional psoriatic skin samples, excluding sodium storage as a general phenomenon of skin inflammation. For yet unknown reasons, the skin of atopic dermatitis patients often is exceedingly populated with a bacteria strain called Staphylococcus aureus, which correlates significantly with the severity of atopic skin inflammation. This displaces other strains necessary for a healthy skin flora and leads to bacterial imbalance. Staphylococcus aureus is known to be resistant to high salt concentrations, thereby outgrowing other bacterial strains which cannot survive in a high salt microenvironment. The high salt concentrations in atopic dermatitis skin lesions might be a potential reason for the prodigious outgrowth of Staphylococcus aureus on patients’ skin, causing a microbial dysbiosis. We have found that salt promotes Th2 cell responses, which are crucial for allergic diseases and atopic dermatitis. Although our dietary salt intake has been steadily increasing over the last 50 years, together with an increased incidence of allergies, the causal connection between cutaneous salt storage and atopic eczema still needs to be firmly established. In addition, the mechanisms by which salt finds its way into the skin and by which salt is sensed by T cells have to be dissected. With more knowledge about this new checkpoint of immune modulation, novel therapeutic targets for the treatment of allergies can be anticipated. These findings are described in the article entitled Sodium chloride is an ionic checkpoint for human TH2 cells and shapes the atopic skin microenvironment, recently published in the journal Science Translational Medicine. Julia Matthias is a medical student at Charité-Universitätsmedizin Berlin since 2012. She is doing her MD thesis in Christina Zielinski's lab (Cellular Immunoregulation lab, Institute of Virology, Technical University of Munich).